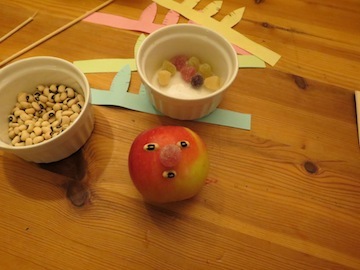 If you are looking for easy thanksgiving crafts these 'Apple Indians' are one of our favourite! 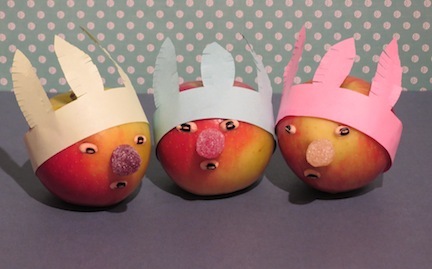 They always look great on the table, can be made quickly, and are really cute! 1. You first make the headdress. 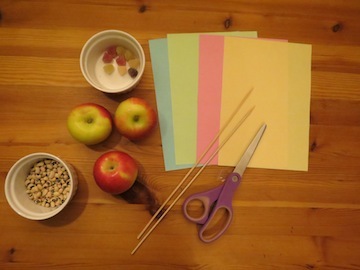 You will need to draw and then cut out a strip of paper that will fit the diameter of the apple - longer strips for bigger apples! 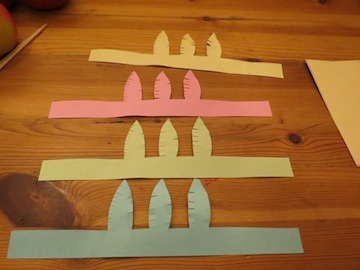 Add three feather shapes in the middle of the strip of paper when you draw it, and cut these out. 2. Using your scissors cut into the feather shapes to make them 'frilly'. We made a couple of them here using different coloured papers. 3. 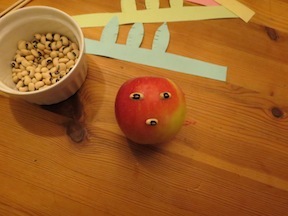 Press three black-eyed beans firmly into the side of an apple for eyes and a mouth. Make sure they are well stuck in. 4. Then take a small length of cocktail stick and push half into the back of a jelly tot. 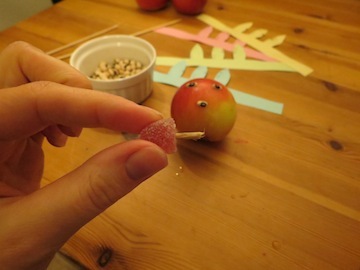 Then stick this as a nose into the apple. 5. You know have the face of your 'Apple Indian'! 6. 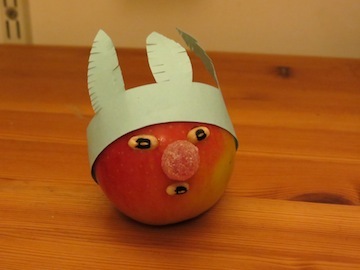 Finally wrap the headdress round the top of the apple and secure it at the back with another small length of coctail stick pressed through the paper and into the apple. 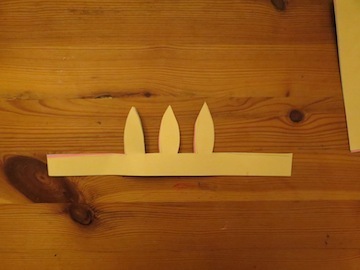 TIP: Get your kids to decorate your table this year with this great thanksgiving craft!